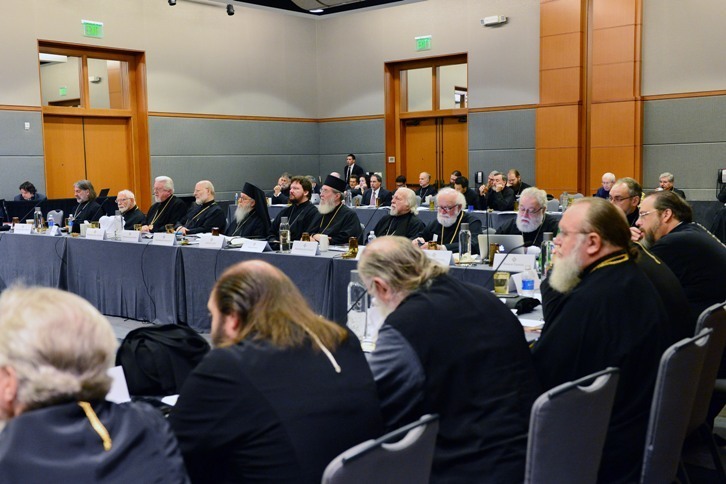 Dallas, TX - The Assembly of Canonical Orthodox Bishops of the United States of America convened for a second day of meetings on Wednesday in Dallas, Texas. The morning session featured presentations by the directors of the Assembly’s seven agencies: International Orthodox Christian Charities (IOCC), Orthodox Christian Mission Center (OCMC), Orthodox Christian Network (OCN), Orthodox Christian Fellowship (OCF), Orthodox Christian Education Commission (OCEC), Orthodox Christian Prison Ministry (OCPM), and the Eastern Orthodox Committee on Scouting (EOCS). Each agency provided an overview of its history, current activities and challenges. The presentations underscored the fact that, through their pan-Orthodox ministries, the agencies are and have been for many years manifesting the love and unity of the Church “on the ground”—responding to emergencies, assisting those in need, spreading the Gospel, visiting the prisoner, and educating and ministering to the Church’s youth. In the afternoon session, the Committee for Canonical Regional Planning presented its report, which led to a discussion about the canonical anomaly of multiple bishops in one city. 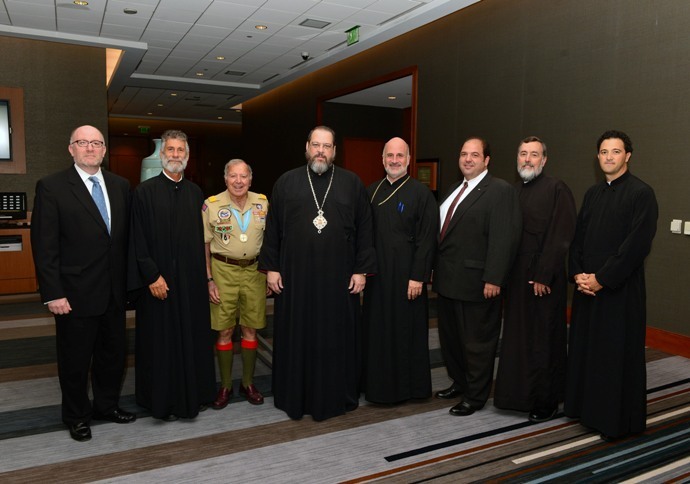 Hierarchs constructively shared their opinions, and after a candid and collegial discussion, agreed to continue working toward greater unity. In anticipation of the Holy and Great Council of the Orthodox Church, which is to convene in Spring 2016, the hierarchs reaffirmed their commitment to actively prepare one or more proposals for its consideration, as has been requested by the Holy Autocephalous Churches. To this end, hierarchs agreed to submit ideas to the Committee for Canonical Regional Planning within the next six months for appropriate action by the Assembly.